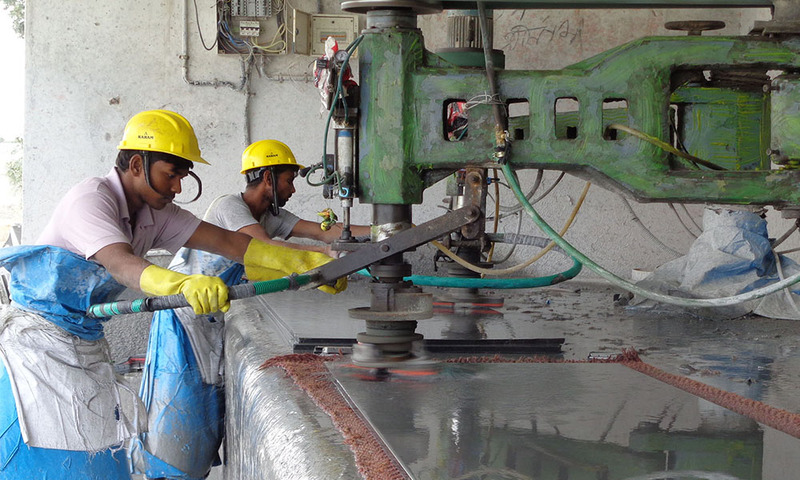 Currently, Indian granite industry is way more organized and advanced than ever before. This dramatic change not only revolutionized the Indian granite export scene, but granite manufacturing in India as well. We all know, India is one of world’s leader in granite exports, but what’s interesting is that over 80% of total granite produced in India is exported to other countries in Europe, Middle East, the Americas and so forth. To meet the never-ending global demand of granite, Indian granite industry has reformed by leaps and bounds. This eventually made Indian granite easily accessible and available to international buyers. While the export sector is known to observe major upheaval in the last two decades, granite processing and granite manufacturing in India has also become much more efficient and hi-tech with the introduction of cutting-edge tools and machinery. 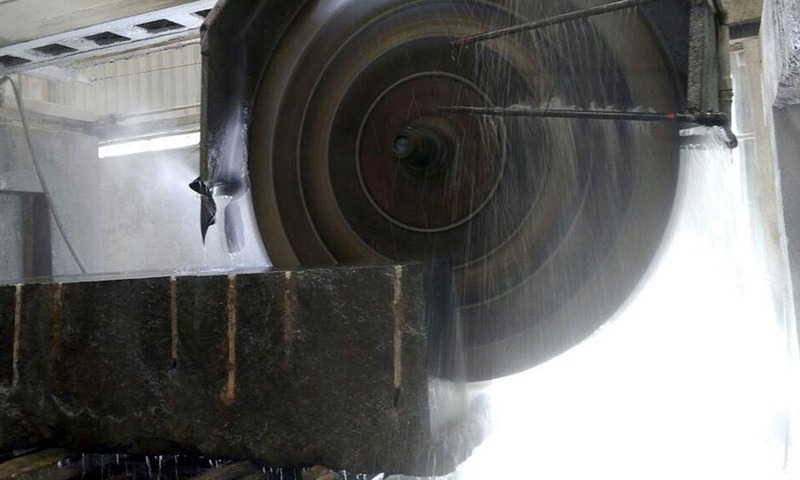 Let’s have a look how exactly granite is manufactured and processed in India today. Large granite blocks were acquired from granite quarry owners. These are generally 1 ft3 to 2 ft3, but can be even bigger. Depending on what is in demand and requirements of customers, manufacturers choose different colors of Indian granite and shades like black, green, black, brown and red. 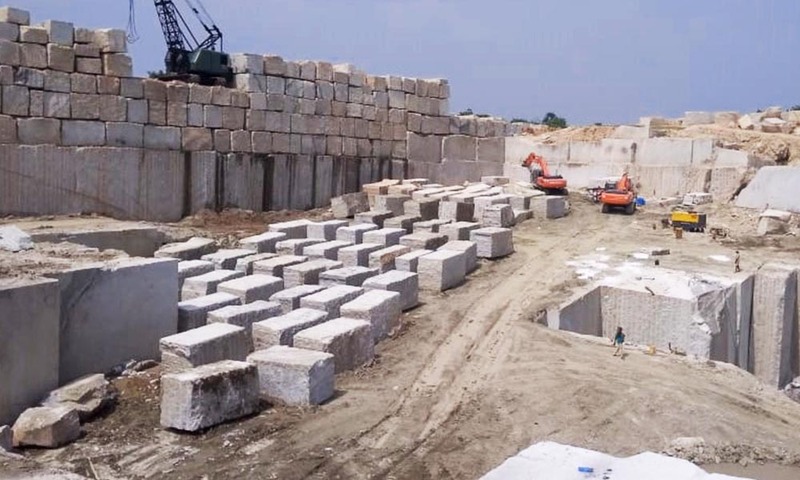 These blocks are then transported to the granite manufacturing/processing plants that are usually located close to the quarry to save additional transportation cost, and prevent wear and tear. The blocks are further introduced to a fully automatic circular sawing machine at the granite factory. How much space should be left between two cuts is predefined, which relies on the required thickness of the tile or slab. Also, how deep should be the cut is decided on the basis of the hardness or strength of the granite. As far as harness is concerned, it largely depends on the variety of granite. A diamond-edge blade is used for the cutting process, in which water acts as a coolant. To minimize wastage of water, latest cutting machines come equipped with water re-circulation system. The granite in the shape of tiles so formed can be of varying sizes, such as 6 × 6, 12 × 12 and 6 × 12 inches or even larger, whereas the thickness may be from 10 mm to 20 mm. All the three processes utilize varying grades of abrasive mixtures and polishing heads. The machines used thereof are usually manually operated. A single machine can be used to carry out all the three processes since the polishing heads can be replaced. However, to scale up the production, three distinct machines are put in use. 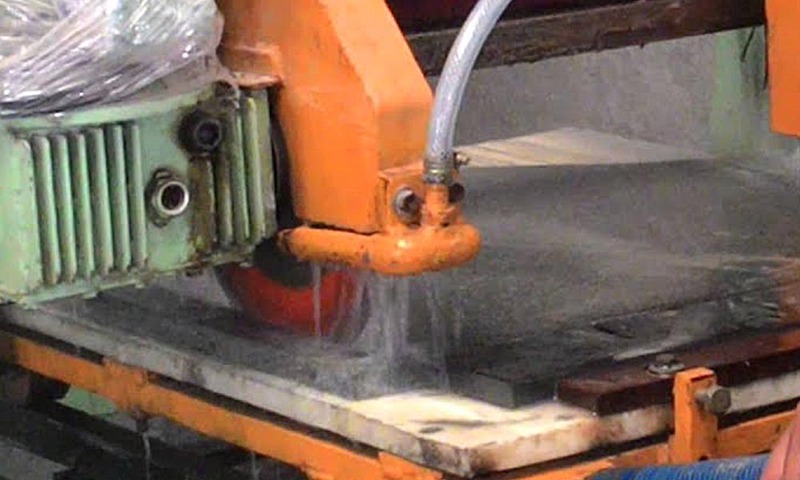 After the polishing phase, the tiles are introduced to an edge-cutting machine, comprising double blades to facilitate parallel cutting of two opposite edges of a granite tile. Over single-blade cutters, twin-blade cutters are preferred because the finished product has more accuracy in terms of size and it is easier to keep adjacent edges of a tile at 90°. For polishing the edges, abrasive stones are used. This can be either done manually or using a portable machine. 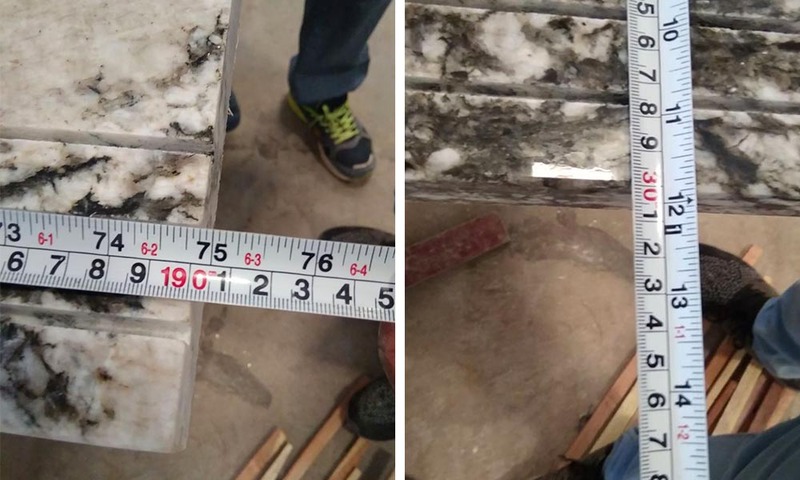 The final granite product is then checked for accuracy with respect to size, polish and edge profile. Any visually faulty piece or the one, which doesn’t meet the quality parameters, is rejected after quality inspection. Moreover, the Bureau of Indian Standards (BIS), a government body, has set standards to specify the quality of Indian granite stone products. According to BIS, granite as a building stone must be devoid of structural flaws, cavities, damaging veins, and other types of imperfections that may adversely affect the integrity, appearance and strength of the stone. Today, importing granite from India is as easy as falling off a log. Due to tough market competition, Indian granite exporters are doing their best to lure international customers – whether it is assuring them about safe packaging, superior granite quality, timely deliveries, competitive pricing or impeccable pre- and post-sales services. In case you are looking for high-quality granite at unbeatable prices for your next project, considering a reputed Indian granite exporter can be your best bet. So, don’t wait! Simply,email at info@regattaexports.com to get high-quality granite at the best price. ← How Granite Gets Different Colors?